I’ve posted a bacon wrapped chicken recipe before but it wasn’t a Slimming World one. 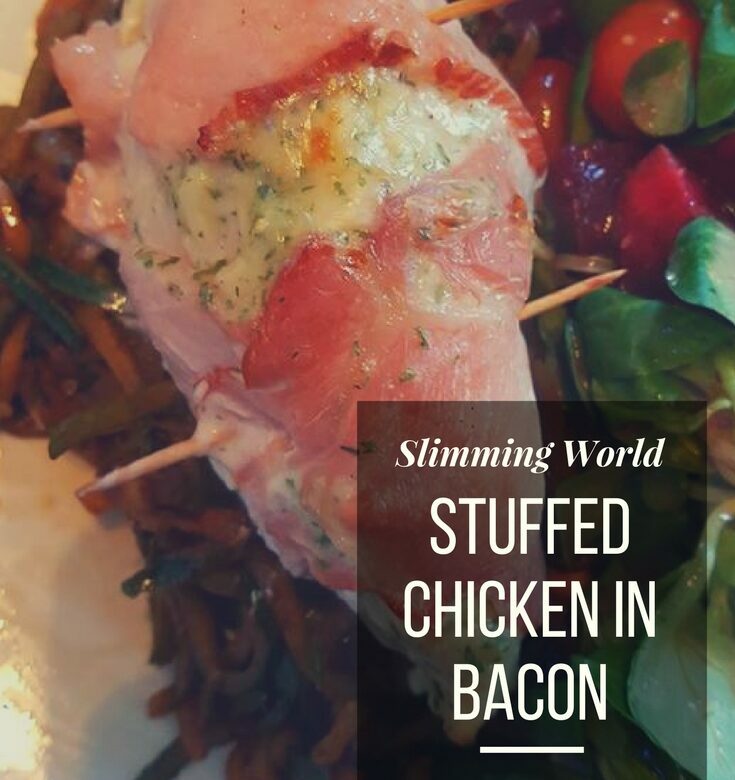 This stuffed chicken wrapped in bacon is Slimming World friendly and is just 2 syns for the Primula light cheese. Ant stir-fried some courgetti, onions and soy sauce and served it with a large salad. It was a really filling and delicious meal. I’m cutting down on my carbs this week and courgetti is an excellent alternative to pasta. Preheat your oven to 220°C/200°C Fan/Gas 7. Using a sharp knife, slice the chicken lengthways but not all the way through to make a pocket. Mix together the garlic, parsley and Primula then season. Secure with a cocktail stick and bake in the oven for 20-25 minutes, or until the chicken is cooked through.